After purchasing high quality tree logs from a regulated and sustainably grown plantation, the logs are transported into a sawmill and cut evenly into plank shape lumber pieces. 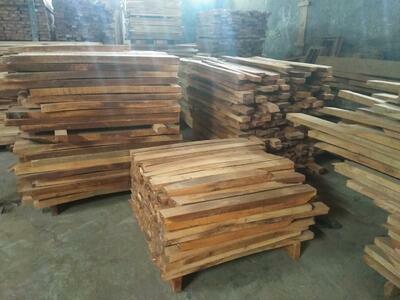 Here, the timber is dried, sorted and classified by their tree species, thickness and length. The next step involves eliminating the timbers' moisture content. This process also improves its general marketability, strength and color. Both drying techniques help reduce final weight, which also translates to lower shipping cost. During air-drying, timbers are usually stacked in open sheds on a leveled ground while allowing air and the heat of the atmosphere to achieve a certain desirable moisture content. This drying process takes up the most amount of time, anywhere between 6 to 9 months to achieve a range of 20% - 25% moisture content. For the Piero collection, kiln-drying is implemented. It involves placing timbers into steam heated kilns until it reaches about 8% - 10% industry standard moisture content. Additionally, due to humidity, the timbers will reabsorb between 10% - 12% of moisture on their own. This drying process may take up anywhere between 2 to 30 days to finish. 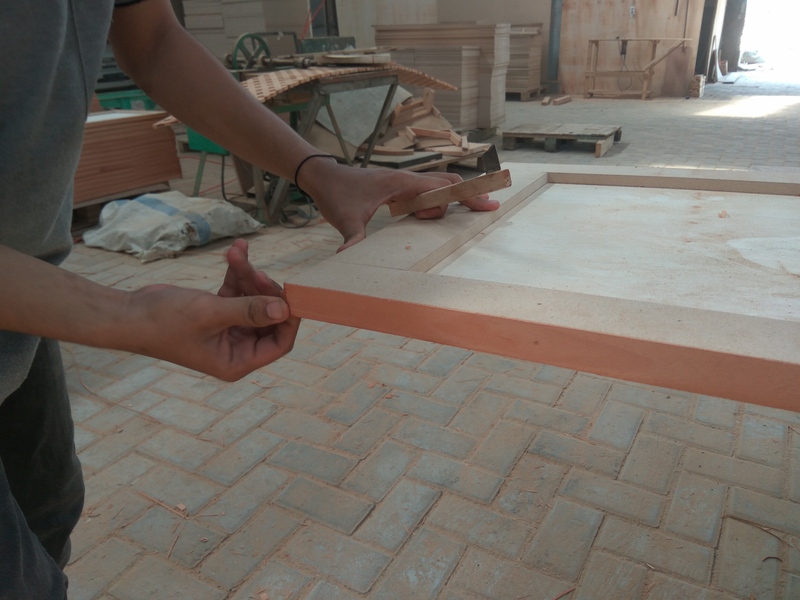 Once the drying process is complete, the timber is further inspected for defects such as knots and split ends. Additional trimming of the lumber is done for a clean stock. Inside the mill, dried lumber is planed, cut, glued and processed into various sizes and shapes of frame components. Piero Night Stand/side table is featured below as an example. 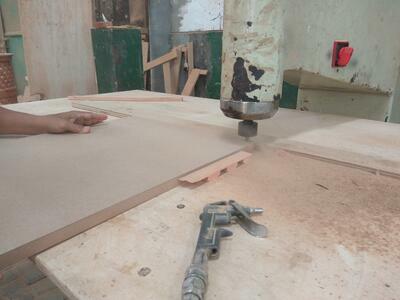 To produce various cuts and shapes for the cabinets, doors and drawer panels of the Piero night stand, boring drills or router tools are utilized. The routing plane machine allows for a precise fabrication technique which is needed to construct multiple units of the night stand. 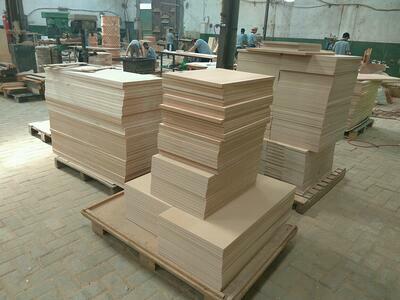 Once all of the panels have been precisely cut, each piece goes through a finishing process that includes trimming and sanding; rough or uneven edges are sanded down to form a smooth texture, turning a "raw" panel ready for the next step to become a presentable product. 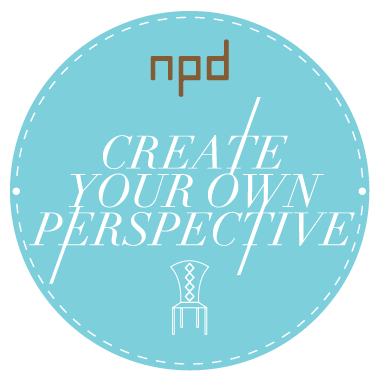 A finishing process called edge branding is applied by coating Mindi wood veneer on the board to cover the edges. This finishing step is required for aesthetic purposes, while also creating an end product that's attractive and marketable for the U.S. market. 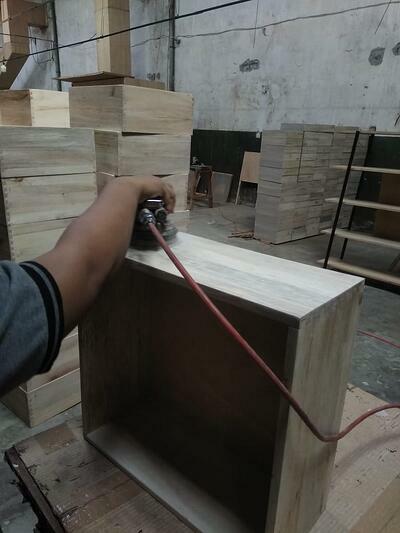 In the final assembly, components such as doors, drawers and tops are assembled and may be fastened with glue, bolts and dowels. During this process, they are fitted properly to ensure the durability of the product. Last, all of the Piero products undergo a strict quality control inspection to meet comprehensive shipping requirements and general selling purposes in the United States. Curious to see more of our Piero products?